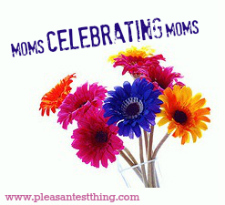 Today my cousin Melissa is sharing a post about a mom who inspires her. Melissa doesn’t have a blog (yet…) but when she does, it is sure to be awesome, and I will direct you there with lots of links! My friend Johanna is an awesome mom. She was the first of my close friends to have a baby and, just recently, she became the first of my close friends to have two babies! After her first son was born, Johanna moved abroad for work so I missed those early years of seeing her adjust to new-motherhood. She sent pictures of a happy family in a new country, but we didn’t go into details of sleep, stress, feedings, etc. 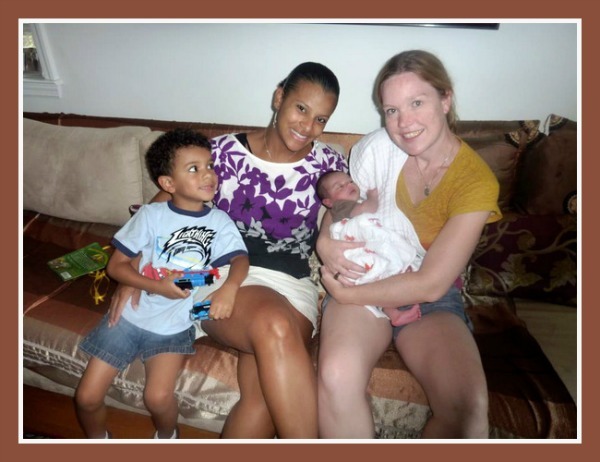 When I became pregnant and had my own baby almost two years later, I had no idea that Johanna’s experiences with motherhood would be so similar, and so important to me. At one point during my pregnancy, I casually asked friends and family for registry advice and Johanna wrote an email with her top picks. Within it, she suggested a co-sleeper because, while she wasn’t recommending I do this, she ended up co-sleeping with her son for 18 months. My reaction upon reading this went something like this. OH. MY. GOD. 18 months!?!?! There is no way in hell this baby is sleeping in my bed for 18 months. Johanna is crazy! Oh, the naivete. I am here today mamas to EAT. MY. WORDS. Because my daughter is now 19 months and guess where she sleeps at least half the night? That’s right. In my bed. What I didn’t realize upon reading Johanna’s email is how complicated issues like sleep can be. I didn’t know how hard those night battles would be if you have a bad sleeper. Instead of being my crazy co-sleeping friend, Johanna has instead become my sympathizer and encourager because she’s already lived the sleeping hell that I’m currently in. Right before I went back to work, I had a freak-out about daycare and my daughter’s napping schedule. At that point, she would only sleep in someone’s arms, even for naps. I sent an email to a few friends expressing, not so calmly, my concerns, and within five minutes, Johanna was on the phone, talking me down off the ledge. She’s patient and honest and I don’t know if I would have survived this long if I didn’t know that Johanna understands what I am going through and will be there when I need her. What I think I appreciate the most about Johanna is that she listens and empathizes; she doesn’t try to tell me what I should or shouldn’t do. And because of this – and because of the great job she’s already done with her older son (he’s ADORABLE and so fun to be around) – she is definitely a role model for moms everywhere. As she navigates this new course of being the mom of two, I hope that I can be that sympathetic ear and ready friend she needs too. She’s going to have to pave the way for the rest of us again, but at least now I can share some of what I’ve learned and she can rest assured that I will never, ever call her crazy ever again. Melissa is the full-time working mom of an adorable, red-headed toddler with lots of energy. She would like to be a blogger, but every time she sits down to get started, she’s called to mommy-duty before she can finish. So instead she lives vicariously through her awesome cousin at the Pleasantest Thing and the occasional guest post. She lives in Rockville, Maryland and works in Washington, DC in International Development.